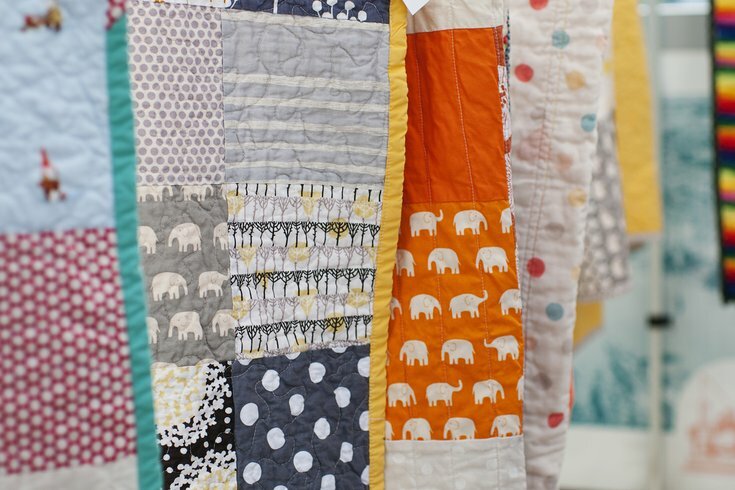 Quilts, toys, art and other independently made goods can be found at Art Star Craft Bazaar. Not sure what to buy your mom for Mother's Day? You could always take her to the Art Star Craft Bazaar and let her pick out an item from one of the more than 100 juried artists and vendors. Saturday, May 9 and Sunday, May 10 the 12th annual edition of the popular fair will take over Penn's Landing for a day of shopping and live entertainment. Both national and local art and craft vendors have been selected by Art Star for the weekend. They'll sell everything from housewares to clothing and vendors are coming from as far as L.A. to participate. Local favorites like Peg & Awl will be there, as will Jay McCarroll and Concrete Polish. The first 150 attendees will receive a free tote bag with coupons and a few small goodies inside. Local DJ Ed Christof has curated a line-up of local bands and DJs to provide music for the weekend including Northern Arms, Fox Bay, The Spinning Leaves and Acton Bell. Soy Cafe, Cedar Point Bar + Kitchen and Pie Stand will provide the food. The fair will include "Make + Take" stations where guests can try their hands at fun crafting techniques. Teaching artist Janell Wysock will demonstrate how to upcycle found items into textiles. Screen printing, paper and fabric flowers, stamp sculpting and more will be available.